Our eyelash extensions are attached with a medical strength adhesive. They are able to last up to a maximum of two months. For continual wear, clients are recommended to come between every two to four weeks for fills. Eyelash extensions are attached by taking one of your individual eyelashes and attaching one eyelash extension with a medical strength adhesive a dimes width out from your lash line. They look completely natural, and you no longer need to wear mascara! Beginning June 15th, 2010 we will require a 50% deposit for all Hair Extension appointments at the time of scheduling to hold your appointment. We apologize for any inconvenience, but we will no longer be able to order hair without a deposit. *Appointments may be canceled 24 hrs prior to your appointment without penalty; Appointments canceled within 24 hrs of scheduled service will be charged the full deposit. Please call asap if you are not able to make your appointment. Our human hair extensions are pre-bonded with 100% keratin protein tips to ensure the most healthy and natural hair that will last up to three months. We attach them by using a keratin fusion with your own natural hair. They are able to accept color, withstand high heat, and provide a new look for those who desire additional hair. Moreover, human hair extensions are extremely natural because they act just like your own hair. Fiber extensions are attached to the natural hair through a four-strand braid method. With fiber extensions, you can shampoo, condition, dry, and style your hair like your own. These extensions respond very well to heat. You may use ceramic or Teflon tools at a low temperature on the hair. They hold style well and are resistant to humidity. Fiber extensions are also non-porous. So, this hair will not accept hair color and it never fades! 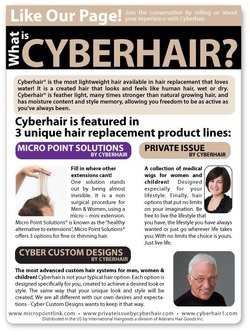 Micro point link maximizes hair density by attaching four strands of a nylon hair to one of your hairs. It styles just like your own hair and has a high heat tolerance. It can be colored over because it is non-porous hair. We recommend using the hair support system in order to produce best results.